Right so I know haven't got round to doing one of these for a while and I know it's still a week till this comes out but I am in love with this cover for the eternity cure. For starters I am a massive Kagawa fan! I loved her Iron novels and I'm loving this new take on vampires! But the minimalism and simplicity of this cover just makes me love it! It's bold, the colours pop, there a faint background image and even though it s a very elegant and delicate cover it still has a grungy edgy feel to it which I adore so much! 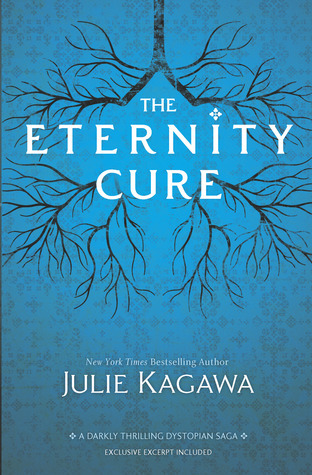 A gorgeous cover for the Eternity cure though you can't but this one as it's the proof cover, but it's so gorgeous I had to share.